Probably the most well-known French pharmacy line, this dermatological laboratory means business. There are different products for every skin problem - all infused with soothing antioxidant spring water - so no product is ever too harsh. Products to try: Effaclar BB Blur, Toleraine Facial Fluide, Physiological Cleansing Gel. A bit lesser known here in the states, but that doesn't mean it isn't just as amazing as the rest. This brand has real history, it dates back to 1948 and has since focused on creating products for specific concerns of women. I love when a brand combines problem solving with beauty, and these products do just that. Products to try: Lipocils Expert Eyelash Conditioning Gel, Bio Enzymes Mask After-Sun, Photo Hydra Serum. 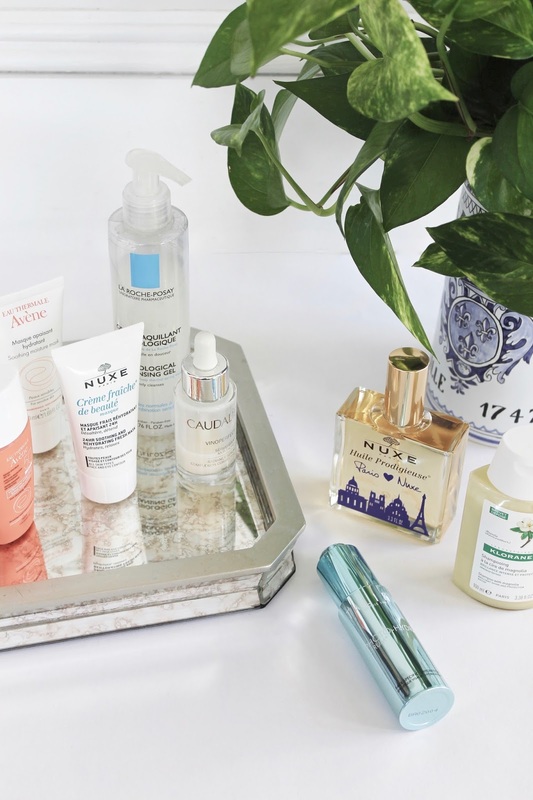 Soothing spring water works wonders on sensitive skins, making these products a good pick for everyone. I love the how these ultra-hydrating products contain minerals and vitamins of natural origin that give the skin a health boost. Products you need to try: Cleanance Cleansing Gel, Ultra-Light Hydrating Sunscreen Lotion, Cleanance Expert. The brand that put dry oils on the map. 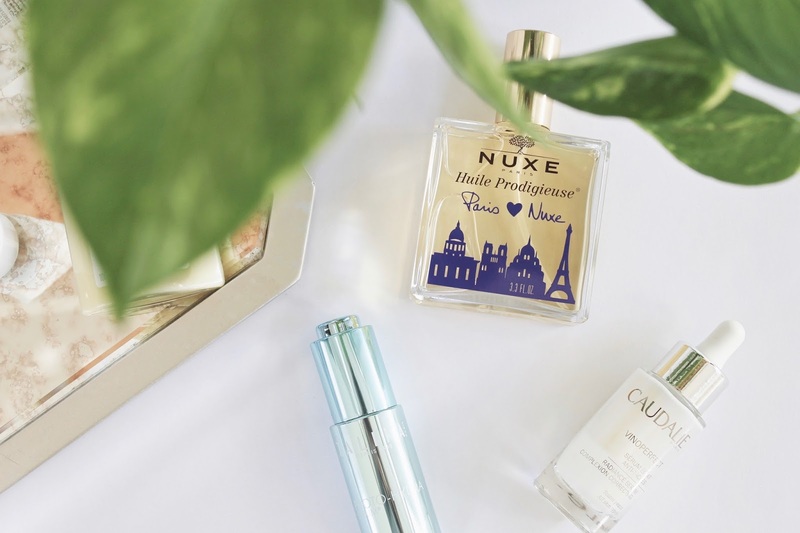 Nuxe has amazing products for oily and sensitive skins, but that also work on all skin types. Products you need to try: Huile Prodigieux Multi-Purpose Dry Oil, Prodigieux Le Parfum, Crème Fraîche de Beauté Masque. Antioxidants from grapes are pretty amazing for your skin. But, cult brand Caudalíe doesn't stop there - they use all sorts of amazing plant-based oils and milks to soften, smooth, and enhance the skin. I find the brand's products to be overall very nourishing, lightweight, and refreshing. Products you need to try: Vinoperfect Radiance Serum, Instant Detox Mask, Beauty Elixir. All things hair. This line uses mostly ingredients of natural origin and has a formula for just about every hair concern out there. Best of all, the products are nourishing, fuss-free, and always give my hair a soft, healthy, bounce. Products you need to try: Dry Shampoo with Oat Milk, Shampoo with Magnolia.